Are you after Asus Repairs Sydney? Our extensive service and support centre has been servicing Asus laptops, notebooks, desktops, servers, and all in one solutions since the earliest Pentiums, to today’s quad-core power houses. Our knowledge and experience with Asus repairs allows us to offer a quick, professional service, with most jobs diagnosed with in 48 hours. 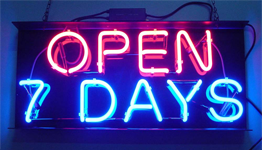 Our Asus service centre is open 7 days and we can also arrange a courier service if you cannot visit us. For Sydney Asus Repairs, we offer complete task lists from broken and smashed LCD screens, water damage, power on issues, keyboard problems, windows errors, and more. All our repairs come with a three month warranty and we can also assist with preventative advice to ward off future problems. For Asus software issues and slow systems we provide a full maintenance and optimisation service including security checks and full virus and spyware detection and removal where required, as well as preventative security software. We can also advise of applicable upgrades that are available to your system and ensure that there are no potential indicated hard ware issues. Contact our Sydney Asus Repair & Support Centre 7 Days on (02) 9698-9644 or support@erepairs.com.au .